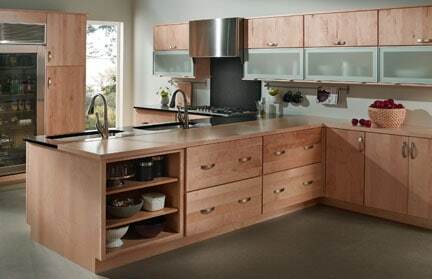 Cabinets are the heart of a kitchen’s organization and the key contributor to its appearance. Hundreds if not thousands of styles are made from a broad range of materials: fine hardwoods, laminates, veneers, painted particleboard, and more. Considering this and the fact that kitchen cabinetry is often the most costly part of a new kitchen, it only makes sense to choose cabinets wisely and care for them well. From the highest quality models on down to the bottom-of-the-line units, all cabinets have one thing in common: Fundamentally, they’re boxes. Some of the boxes stand on the floor and are capped with countertops while others hang from the walls. Some are fitted with doors and shelves while others hold drawers and other specialty accessories such as cutting boards. A kitchen-cabinet system is made up of several separate units, joined together side-by-side. Base cabinets may have drawers, doors, shelves, or pull-outs, or a combination of these. Plumbing bases have no shelves or drawers, reserving the space for a sink and plumbing. Upper wall cabinets offer storage above counters and appliances. 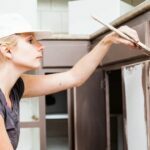 In this section of HomeTips, you will find information on how to make smart kitchen-cabinet buying decisions, including advice on quality, hardware, and even childproofing measures. You’ll learn how to distinguish various types of cabinets and construction methods from one another. 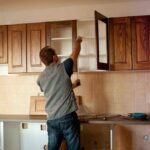 And you’ll find step-by-step advice for cabinet installation, as well as help with do-it-yourself care and repair. • Is Refacing Cabinets An Option?